The 下一个 Generation of Team Sonic. 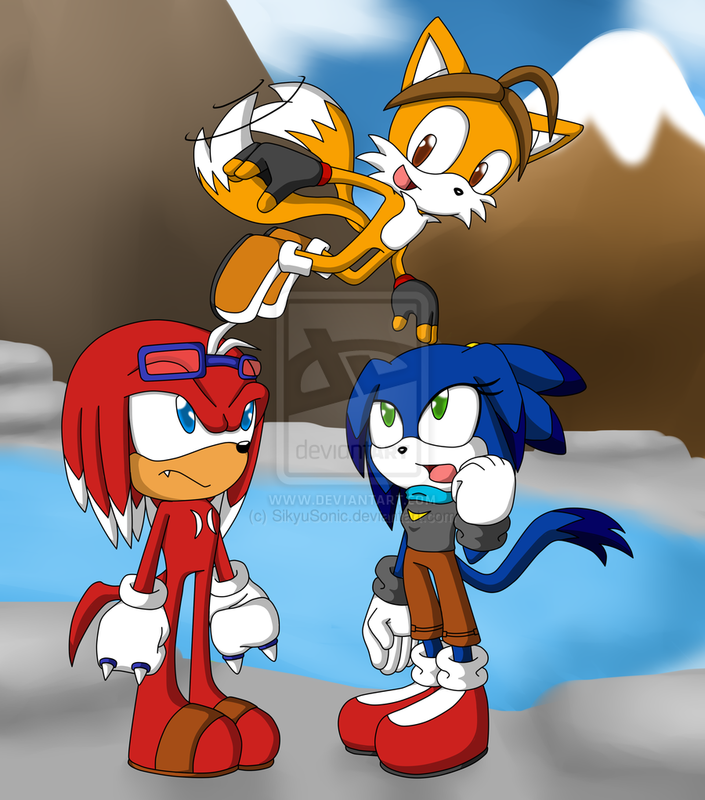 Naomi the Cat (Sonic and Blaze's daughter), Andrew Prower (Tails and Cream's son), and Haze the Echidna (Knuckles and Rouge's son). HD Wallpaper and background images in the 刺猬索尼克 club tagged: photo sonic the hedgehog sonaze knuxouge taiream. Interesting. Apparently echidna lack toes as well as fingers. All Sonic characters lack toes. I'm going to have to take your word on that, because they really love their shoes. I will say that I really like next-gen-Sonic's design. 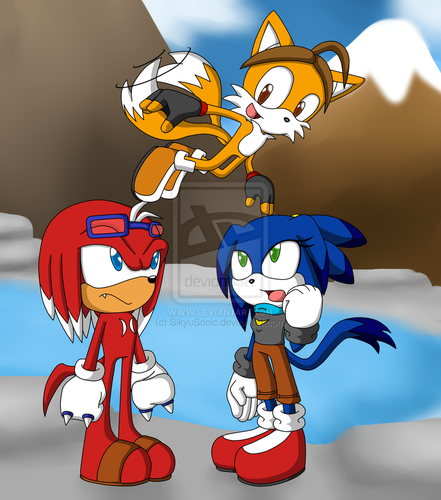 Seeing, however, that Tails and Mina came together to conceive that child, I would have liked to see a design leaning a bit more to Skye and his epic muzzle side burns. Next-gen-Knuckles looks pretty cool with his white-tipped quills, but something about him seems feminine, which cause cause others to not quite take him seriously. Ironic. Naomi is the best one here. To me, the others don't have enough features to differentiate themselves from their parents.